‘Super foods’ have become popular in recent times, but are they really worth consuming? Celebrity endorsements have helped to spread the superfood craze – Gwyneth Paltrow uses agave nectar, Miranda Kerr swears by quinoa and açai berries and now coconut water has become the latest superfood to be seen consuming in Hollywood – stars Gisele Bündchen and Anna Paquin both fans of this electrolyte laden drink. But what are ‘superfoods’ and how can they help us? Superfoods are a category of foods that are found in nature and which contain superior sources of anti-oxidants and essential nutrients that the human body does not make. Superfoods are very low in calories and very high in nutrients, providing the body with an ultimate goodness kick! Medical and health experts say that ‘superfoods’ can help protect against dangerous health conditions and diseases such as cancer, heart disease, cholesterol and others. Experts stress that the foods do need to be in their natural, unprocessed forms to be of any benefit. This list is not inclusive, there are many more ‘superfoods’, this is a list of 10 of the more well-known and popular. 1. Açai and Goji berries – very high in anti-oxidants which attack harmful free radicals in the body. 2. 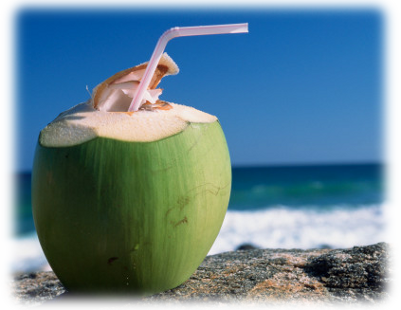 Coconut water – fresh coconut is extremely high in electrolytes and potassium. 3. Quinoa – a seed from South America is gluten free, high in protein, low G.I. and contains essential fatty acids – a nutritional gold-star! 4. Agave nectar – used as an alternative to processed sugars, makes a healthier alternative, although nutritionists say it is usually heat treated and loses its nutritional value. 5. Salmon – is a super food due to its high omega-3 fatty acid content. Studies show that omega-3 fatty acids help to maintain a healthy heart. Salmon is low in calories, contains lots of protein, is a good source of iron, and is very low in saturated fat. 6. Broccoli – a rich source of vitamin A, vitamin C, and bone-building vitamin K, and has plenty of fiber to fill you up and help control your weight. 7. Olive oil – studies suggest that the monosaturated fat in olive oil is good for the heart as it lowers bad cholesterol levels and increases the good cholesterol levels. Olive oil is also high in anti-oxidants. 8. Tea – black or green, contains a high level of the antioxidant named catechins. Studies suggest that catechins protect the artery walls against the damage that leads to heart disease and inhibits the development of blood clots. 9. 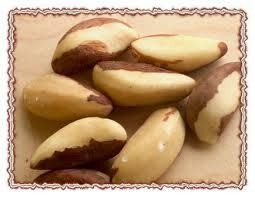 Brazil nuts – full of essential vitamins, minerals and fibre. Brazil nuts contain a high level of selenium that may help protect against diseases such as cancer, depression and Alzheimer’s. 10. Yogurt – source of calcium. Helps to improve the health of the large intestine and aids in the relief of gastrointestinal upsets. Yogurt can be used as a milk substitute for those people who are lactose intolerant. Information for this article sourced from websites http://www.foodmatters.tv, http://www.webmd.com and http://www.dailymail.co.uk.